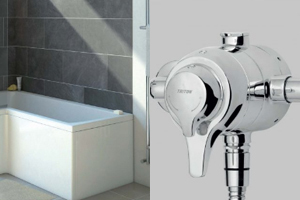 New and exclusive to Primaflow F&P are the Triton shower brands Portico, Fixate, Quartier, Gyro and Granduer. These high-quality shower heads, mixers and handsets are manufactured in Britain to specifically suit the requirements of UK homes. The showers provide a wide choice of valves to suit any bathroom interior and have a full five-year parts and labour guarantee. Appearing for the first time in the catalogue is the Wetwall range of shower and wall panels. An alternative to tiles, Wetwall panels don’t require grouting, can be fitted over existing surfaces (including tiles), and are very low maintenance. Available in a wide range of colours and textures such as marble, sand, gloss and slate, Wetwall can quickly transform the look of bathrooms or shower enclosures. 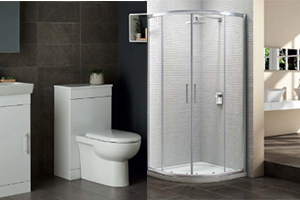 In addition to the extensive product portfolio of baths, showers, furniture and taps, the catalogue includes lifestyle products such as easy access baths and higher-than-standard WC pans, and accessories including decorative radiators, concealed cisterns and soft-close WC seats. As well as branded products, the catalogue includes Primaflow F&P’s own brands - Fresssh and Pro - offering customers further options that deliver higher margins. With a national network of distribution centres, fleet of delivery vehicles and substantial stocks, Primaflow F&P can deliver next day to its stockists and dedicated display outlets, when orders are placed before 5pm on weekdays.